Lameness, still one of the biggest health issues affecting the UK sheep industry each year, should be at the forefront of sheep producers mind as we head closer to winter. 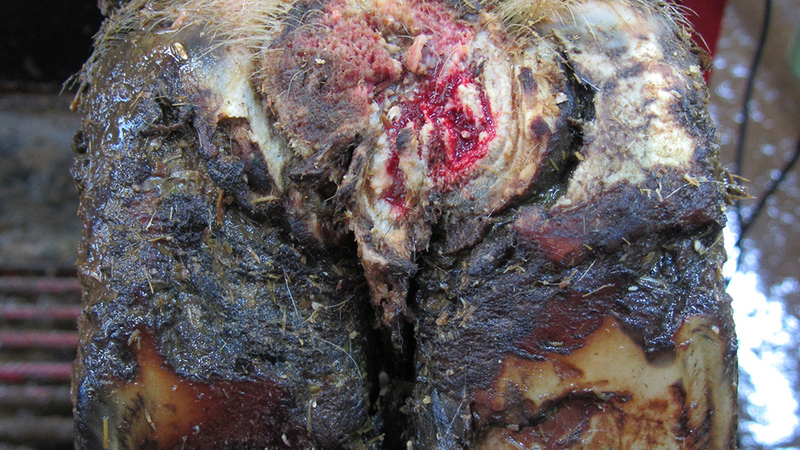 Despite advances in controlling infectious causes, in particular footrot, evidence suggests that while lameness levels have reduced, on average they are still above the industry target. The sheep industry has been challenged by the Farm Animal Welfare Council to reduce lameness prevalence to less than 5 per cent by 2016 and 2 per cent by 2021. Recent research work means most of the current, evidence-based lameness control advice for veterinary medicine is based on footrot. However, between 35 and 53 per cent of farms in England and Wales report contagious ovine digital dermatitis (CODD) as a major cause of lameness. The University of Liverpool, with funding from Biotechnology and Biological Sciences Research Council (BBSRC), AHDB and HCC, is undertaking a project to generate evidence-based advice on CODD control to help reduce the prevalence of lameness. To understand the bacteria involved in CODD and its role in the disease process, researchers followed a group of store lambs exposed to naturally occurring infection. Regular blood and foot swabs were collected from the lambs, under Home Office licence, as CODD developed and after treatment. The project will be able to determine differences of the bacterial microbiome in feet with and without CODD and how the microbiome changes after treatment. The final report will be available in late 2018, with practical guidance for the treatment and prevention of CODD. The cause of CODD is thought to be bacteria called treponemes which are only sensitive to certain antibiotics. Producers need to develop a strong relationship with their vet to decide the best treatment to use, ensuring that it is effective and shows a responsible use of antibiotics. While CODD is now more widely recognise it is still often misdiagnosed as footrot. 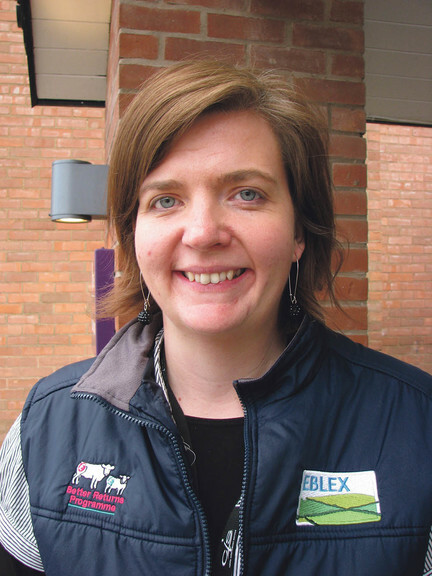 Dr Liz Genever, AHDB Beef and Lamb Senior Scientist says: “These two infectious causes of lameness can look similar but correct diagnosis is vital. If producers are misdiagnosing the cause, they are going to be treating it incorrectly, as treatments differ according to the cause and the severity of the outbreak. Misdiagnosis could also delay recovery and increase the spread, so if in doubt contact your vet. Dr Genever says: “Incidence will vary from farm to farm and there are fluctuations during the production year, for example when sheep are housed and when weather is warm and wet,” says Dr Genever. “It is important producers learn to recognise CODD and distinguish it from footrot. However, whatever the cause, developing biosecurity and treatment plans in conjunction with a vet is essential. While this method has been successfully adopted by many UK producers who have achieved a reduction in lameness within a relatively short time, it does require long-term commitment to sustain on-going success. “Lameness causes serious financial losses to the sheep industry and, while it may not be possible to eradicate lameness entirely, producers who understand the condition and its many causes can reduce the physical and financial impacts of having lame animals,” says Liz. For information download the Reducing Lameness for Better Returns manual from beefandlamb.ahdb.org.uk/returns.